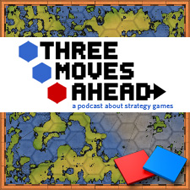 Troy takes a victory lap after finishing his National Character series, and together with Rob delves deeper into some of the themes he brought up in the series, and considers some stray ideas that didn’t quite make the final cut. Can stereotypes ever really be escaped, and do we even want to escape them when they provide such a reliable shorthand in strategy games? How would national character be portrayed by someone other than Anglo-American game designers, and does national character find a compelling expression in peaceful pursuits? Good episode. I like the point that faction differentiation really took off after Starcraft. That definitely at least appears to be the case. Thanks for the correction, Jon. The time line blurs a lot that far back. This was one of your best shows. A really lucid explanation of what the NC series meant. Can’t say I have ever felt that the characters in Civ were anything but shells. Never have I considered them to be an actual portrayal of the country/nation they represent. Same with their bonuses. It’s just to add different flavor between them. I suggest listening to the podcasts they have on Civ5 website, they do talk about the different nations there. This episode was much better than expected after hearing Rob announcing the topic: Great and quite deep speeches by Troy :-)! It’s in general always interesting how foreign people see “you” as a nation/citizen in general and/or how it is dumped down to cliches (or game mechanics). PS@Rob: Is it possible to have a direct MP3 download link in the RSS feed? You should put a transcript of this episode up on the site. There were some great long speeches by Troy in there. Super podcast and a super wrap-up of a super series of essays. Thanks for an interesting discussion! My favourite part was the discussion of national character in peacetime, towards the end — I was intrigued by Troy’s description of Children of the Nile, and I’d love to see that Industrial Revolution game done someday. I knew I’d forgotten something when I posted my above comment… Now that I’ve been reminded by J.eel, I’ll second the praise for Rome: Barbarian Invasion, where I had a fantastic time playing as the Western Roman Empire. Rome: BI is my favourite in the second-generation (pre-Empire) Total War series and one of my favourite strategy experiences for how it inverts the classic 4X formula. Ferocious hordes on the frontiers, treacherous generals marching on Rome at the drop of a hat, an economy staggering under the weight of military upkeep… I don’t know enough of the period to know whether that’s historically accurate, but I do know it’s what imperial decline should FEEL like in a game. You did miss an opportunity guys. You should have had someone who had to make the decision as to the national character in a game on the show (for example, Jon, Soren, or the heretofore unsung Ed Beach (C3C, Civ5, Here I Stand, Emperor)). I will always struggle with the conflict between games built around “national characters” and more modern (lowercase) views of political history (e.g., a more deterministic view that nations evolve, rise and fall in large part due to their geographies). That said, I really enjoyed this podcast and the series. Thank you, gentlemen. I would, by the way, love to even see more historical 4x out of places that I know have strong game dev communities, like Japan, Russia and Poland. I would grab another masters degree just to write the thesis that compared them. Regarding the Germans: I’m not German myself, I merely majored in the language and spent 8 months in Munich (which is culturally very different from, say, Berlin), but that’s enough to get some recurring vibes. Our perception of German games is a bit tainted by the fact that the industry there is just not very creative, which has been pointed out at times by Germans themselves. RPGs and economic strategy games seem to be the most commonly made games, perhaps due to the extreme popularity of boardgames and particularly the “euro”-style which are a bit dry but elegant and minimalistic. Crytek games are a notable exception, as well as anyone else who makes FPSes, I don’t consider them to be particularly “Germanic”. There’s also the fact that every time there is an election, politicians want to ban violent videogames. The perception of violence in general and particularly violence in media is much more negative due to the skeletons in the closet, also describing why they are the least patriotic of all Europeans. I think this leads them to create games that try to avoid violence, aggression, and elimination. They have a sort of fascination with mechanics, there are numerous elegant pieces of mundane machinery which I noticed (Google “german style window” or “tilt and turn window”). Perhaps Patrician, Settlers, Anno, and the like are outlets for controlling nature and chaos through the elegant arrangement of moving parts. The appreciation for the mundane is something I also see in the French and Japanese, but the German slant is one of practicality rather than ambiance. I don’t really know how things would work in a German world civ game, I suppose it would be less aggressive and more managerial. Just imagine if you grew up playing Settlers of Catan instead of Monopoly. Oh, and I just want to say, I also ABSOLUTELY LOVED Barbarian Invasion. It’s such a cool part of history that has been practically untouched, the crumbling empire is such a cool setting, and migrational factions in a territory-oriented game is such a cool mechanic. We need more games that take a look at neglected parts of history.